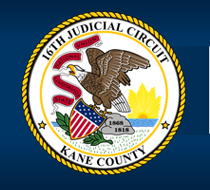 In order to register, you must be a party in a pending Kane County Family Division case and have been assigned to complete the KiDs1st program. You will need either your case number or your name to sign-up for this online service. If your information does not appear on this site, please wait a few business days and try again. If it still does not appear, contact us so that we may help you. Please note that your email account must be valid and active for the duration of this program. Enter your search criteria above, and select your case. Can’t find your case? Try back later. Once you have selected your case, complete the registration process below to create your log in password. We will send you a link via email to activate your account. Click “activate” and you will be returned to the home page in order to complete your login. You will need this email address and password to login whenever you return to the site. Your password should be at least 8 characters long and must include at least one of each the following characters: uppercase, lowercase, and numbers. Symbols are optional, but strongly encouraged. Are you having trouble reading this? Generate a new image.